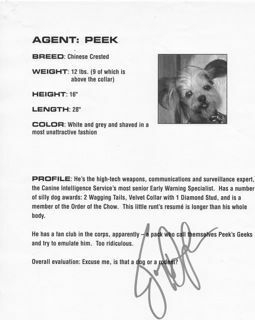 A few of my Chinese Crested Collectibles. 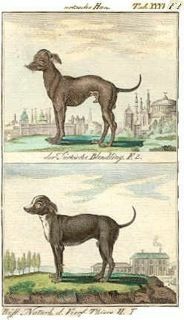 I have been collecting antique Chinese Crested prints for many years. The ones listed below are digital copies of original prints that I have in my collection. 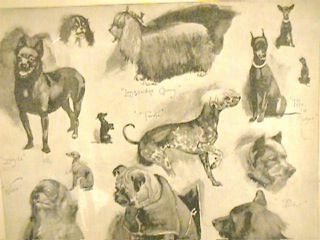 I also own a number of limited edition and original art works (figurines, sketches and paintings). I am gradually organising these to add to my website. 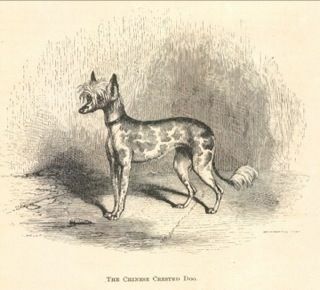 Antique woodcut engraved print issued in 1872 by Horace Cox for "The Dogs of the British Islands"
"The only one remaining of a litter of six born from parents imported from China, both of which are now dead. 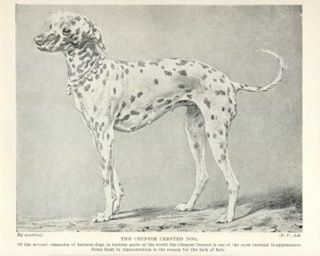 She is two years old (1866) but has never bred in consequence of a difficulty in finding a mate of the same strain. 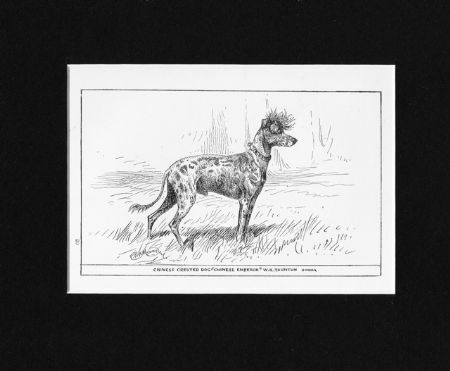 As would be expected from her greyhound shape she is fast and active, very affectionate in disposition, so that isf the breed could be naturalised it would be acceptable to many as a novelty in the pet department." 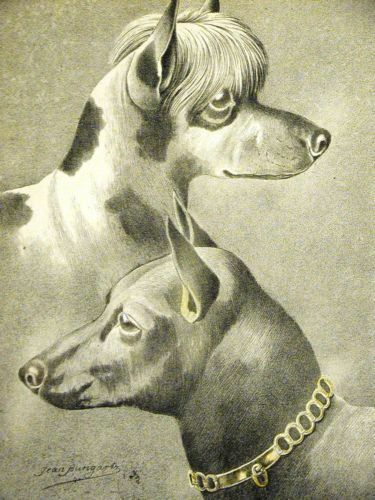 Antique wood engraving from a portfolio of drawings by a German artist, Jean Bungartz, published in 1890 -- ILLUSTRIRTES MUSTER HUNDER BUCH STUDIEN RASSEREINER HUNDE. 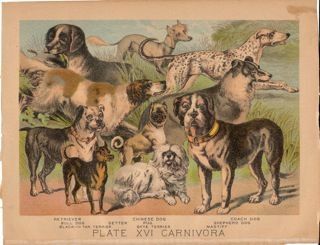 The prints in this series are VERY RARE. 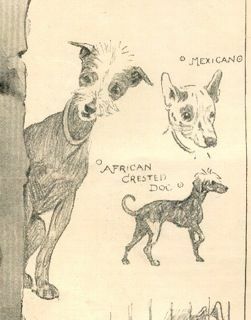 'Twala' by Cecil Aldin 1983 Printed in 'Lady's Pictorial', May 20, 1893, "Sketches at the Pet Dog Show at the Aquarium "
'African Crested Dog' by Cecil Aldin 1895 Printed in 'The Illustrated London News', Jan 4, 1896, "Dogs of All Nations at the Westminster Aquarium"
The Chinese Crested Dog by Edward C Ash Printed in Hutchinson's Popular & Illustrated Dog Encyclopaedia, 1935. 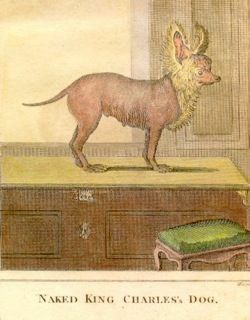 "Of the several examples of hairless dogs in various parts of the world the Chinese Crested is one of the most unusual in appearance. Some fault in pigmentation is the reason for the lack of hair."